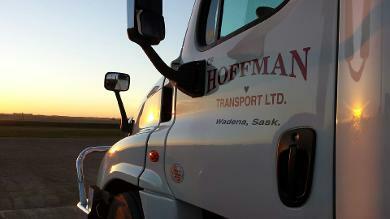 C.F.Hoffman Transport Ltd. gets the job done! We are reliable professionals with over 40 years of experience. We listen to our customers and work with them to address their needs through proven innovative solutions. We transport general freight T/L and LTL to most points in Sk. Mb. and Ab. We have tridem air ride dry vans with logistics, vents and pallet jacks. Our trailers are kept clean and ready for any shipment from food products to furniture to what have you. There is no risk of any cross contamination of product as our food product trailers do not haul chemical.We offer "EXCLUSIVE USE" trailers to customers who ship food products. 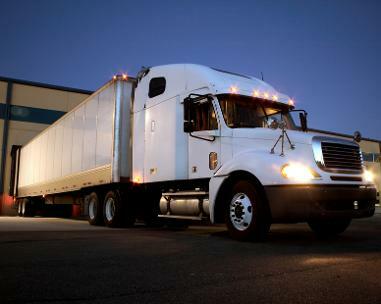 We provide safe, economical transportation for your products. We offer heated T/L service as well..
We also offer storage trailer rentals, your site or ours, short or long term. C F Hoffman Transport Ltd.
We started in 1973 and we are very proud of the fact that some of our customers have been with us from the start.